Woodinville, WA –Dynon Avionics will be offering free (for now) courses in the operation of their SkyView system at the US Sport Aviation Expo in Sebring, FL, January 19 – 22. The classes will last 3.5 hours and will be held in the mornings and afternoons on Thursday through Saturday and in the morning only on Sunday the 22nd. 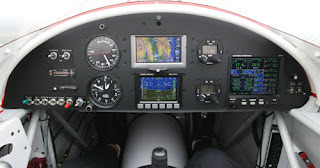 During the seminars, current and prospective owners of SkyView systems will be working with real SkyView units, configuring them for various ground and flight operations. Class size will be restricted to the first 15 people who sign up on the Dynon website. 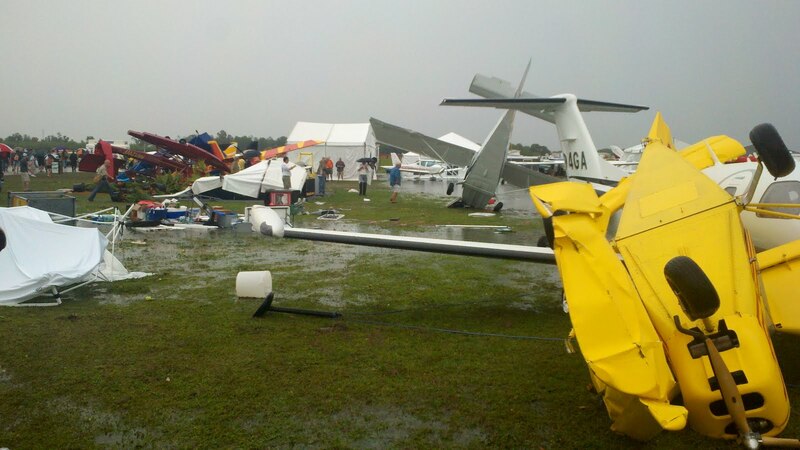 The training classes will be held at the Chateau Elan Hotel and Conference Center adjacent to the Sebring Airport. Instruction will be provided by Kirk Kleinholz, CFII and SkyView expert. This first set of classes will be free, while future ones will have a fee. Dynon Avionics has released SkyView Software Version 3.2.2, and recommends that all customers upgrade as soon as possible. This version does not contain any new features, but does fix several important bugs. Please see the SkyView downloads release notes page for details on the improvements and fixes contained in this release. 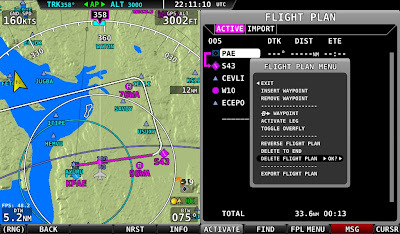 SkyView version 3.2.2 can be downloaded from the SkyView downloads page. 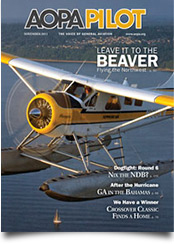 Dynon just hired a new Inside Sales Person to take your orders, and she has already made it into AOPA Pilot magazine. Natalie was in the first graduating class of Aviation High School in Seattle before attending and graduating from Rocky Mountain College. 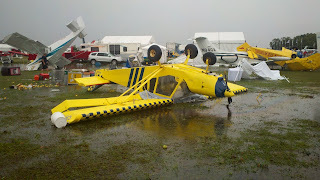 Click on the link and scroll down to find her AOPA article. Dynon Avionics has released SkyView Software Version 3.1.1, and recommends that all customers upgrade as soon as possible. 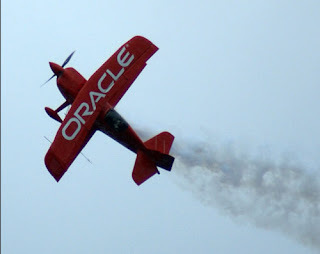 This software release solves an issue where, in rare instances, a memory chip inside the SkyView becomes corrupted. This memory corruption prevents the SkyView display from fully powering up until it is repaired at Dynon’s facility. This failure has been traced to a timing issue within SkyView boot firmware and has been resolved with this 3.1.1 update. There are no other bug fixes or features in this firmware. 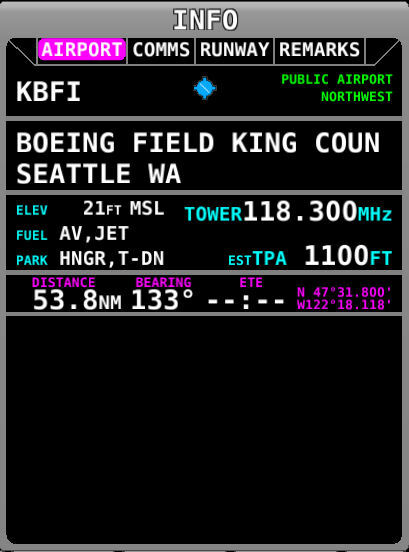 This is not considered to be a safety of flight issue, as the damage that is caused by this issue only occurs to SkyView displays as they are being powered on. 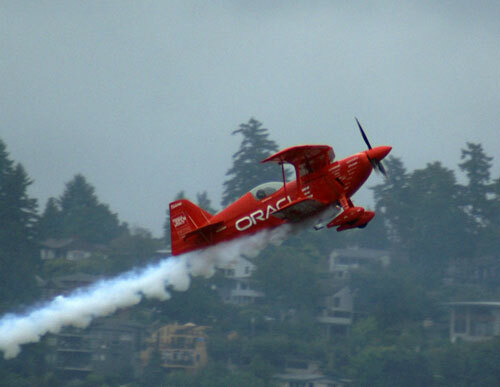 No in-flight failures or degradations in performance have been experienced due to this issue. 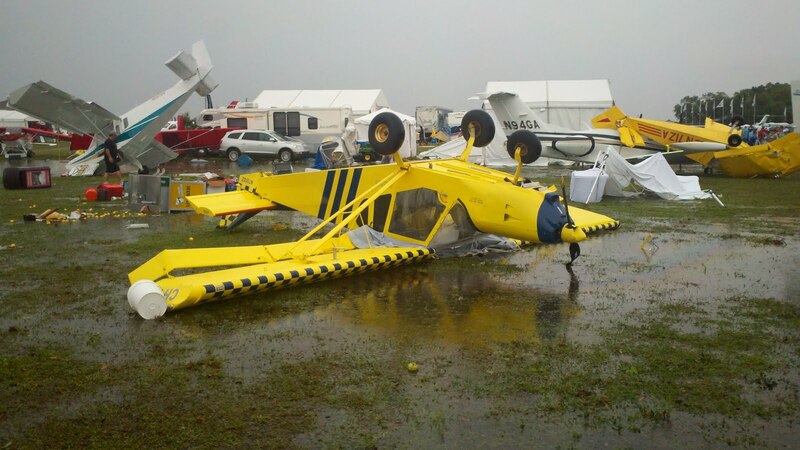 We apologize to anyone that has encountered this issue and has had to send their unit to Dynon to be repaired. As this problem affected a very small percentage of our customers, it was extraordinarily difficult to diagnose. SkyView version 3.1.1 can be downloaded from the SkyView downloads page. 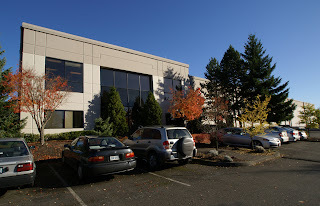 SkyView 3.1 is available. You may go to our Website and read about the changes, download the software, and purchase SV-MAP-270 (released with 3.0) if you wish. 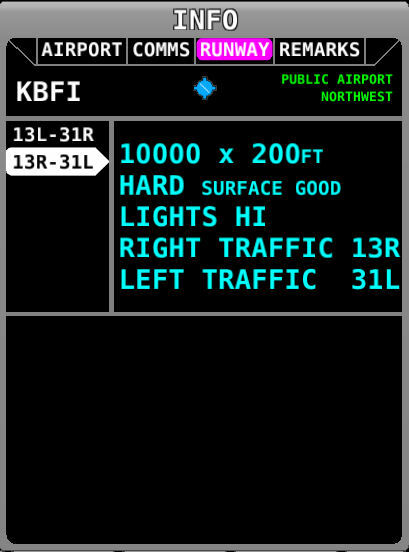 The big new feature for this update is flight planning. 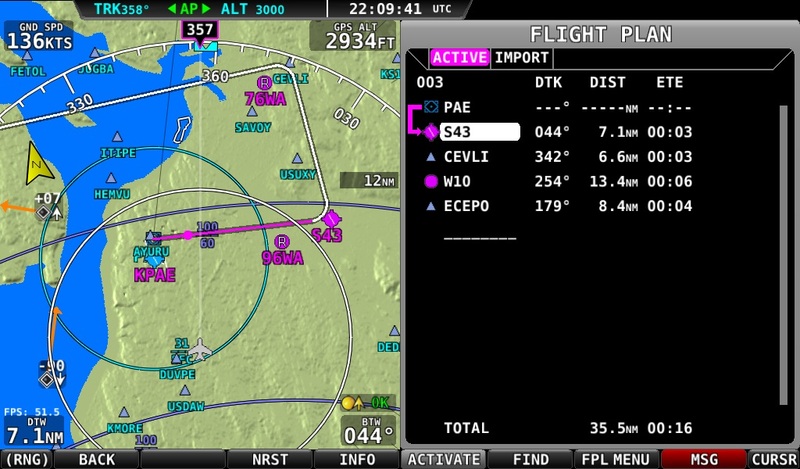 You can create and manipulate flight plans with multiple waypoints right on your SkyView display. 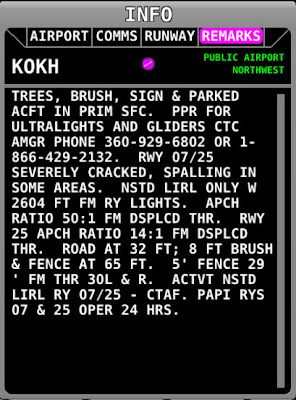 Or, use any computer-based flight planner that supports the GPX file format to create flight plans at home! Additionally, for our more technical customers, SkyView can now output EMS data out any of the 5 configurable RS-232 serial ports in the baud rate of your choosing. Support for more data (mapping and ADAHRS) will be coming in a future release. Woodinville, WA, May 10, 2011 –Dynon Avionics has introduced Version 3.1 firmware for the SkyView Integrated Glass Panel system. 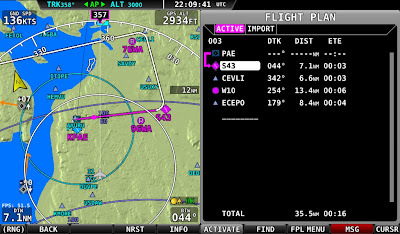 This update adds a flight planning menu along with controls so that pilots can now create and then fly multi-leg flight plans which include autopilot input commands. 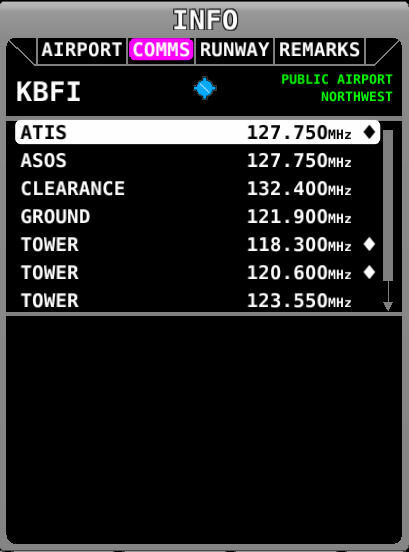 Version 3.1 enables pilots to enter flight plans with multiple waypoints right on their SkyView display. It can also use computer-based flight planners that support the .GPX file format to create flight plans at home. 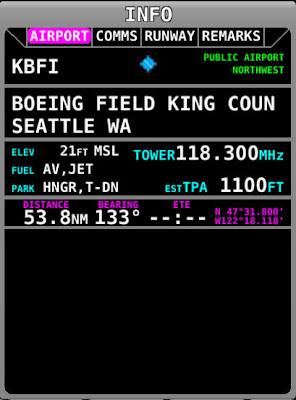 In addition, SkyView flight plans can now be set up to provide turn anticipation between flight plan legs. When so configured, SkyView starts its turn guidance in advance of a waypoint to fly a transition that will not overshoot the next leg. 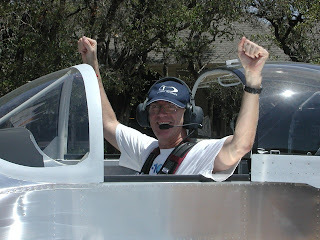 Robert Hamilton, Marketing Director for Dynon, said: "This will be the second SkyView software release so far in 2011. 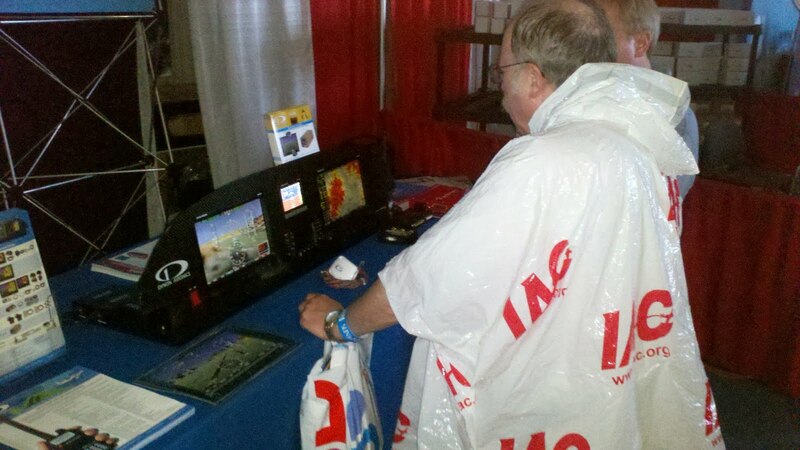 It demonstrates Dynon’s commitment to continually add value to the products that customers already own." Another new 3.1 feature is the ability to output complete, real-time RS-232 data from the engine sensors and other inputs that are connected to the SkyView SV-EMS-220 module. 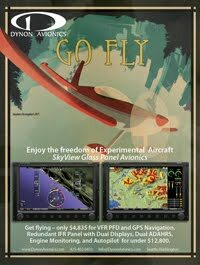 Customers can download SkyView Version 3.1 for free from the Dynon Website. SkyView 3.1 is just around the corner already and should be out at the end of April or beginning of May if everything goes to plan. 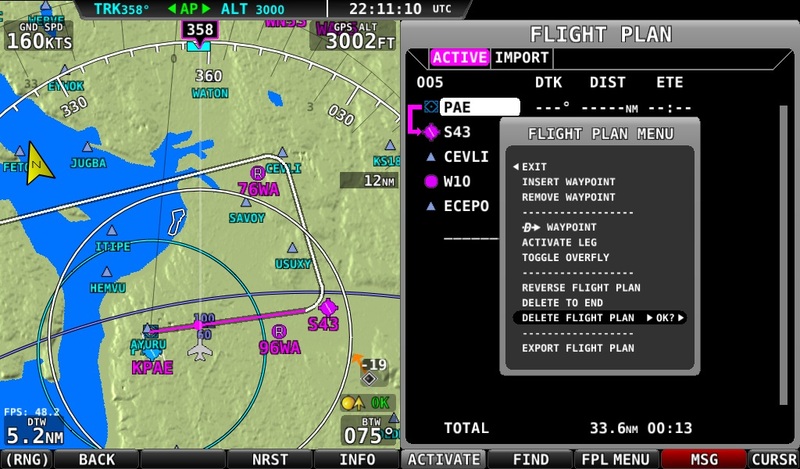 One of the big features this release introduces is a full-featured flight planning engine. You can create and manipulate them right on your SkyView display. Or, if you'd prefer to bring your existing flight plans into SkyView or author them on your PC, SkyView can read in files in the popular GPX format as well. We may be just a little bit biased, but we think that the ease of creating and manipulating flight plans on SkyView is going to be refreshing for those of you that have had to suffer through the experience on other products. You might also notice the nice curved arcing turns at waypoints, and the answer to your next question is YES: SkyView can do turn anticipation so that you don't spend time overshooting your waypoint when sequencing to the next one (this can be turned off as well, if you prefer).